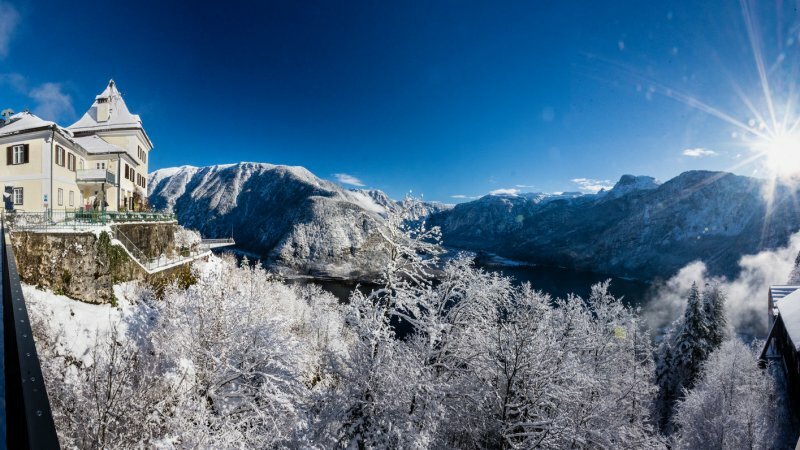 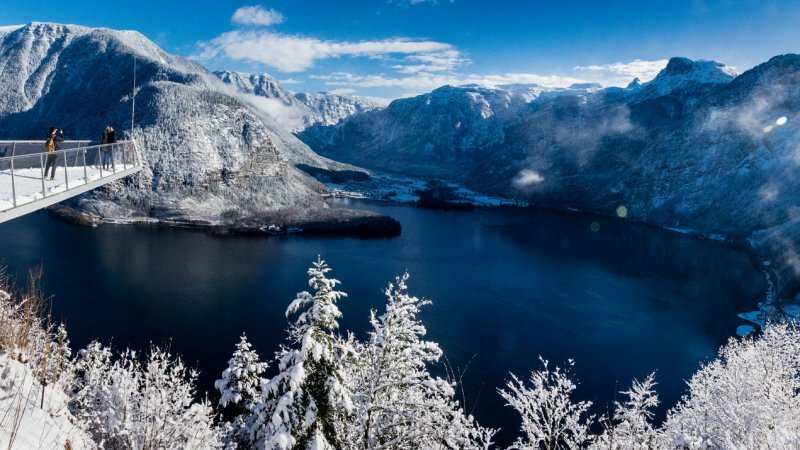 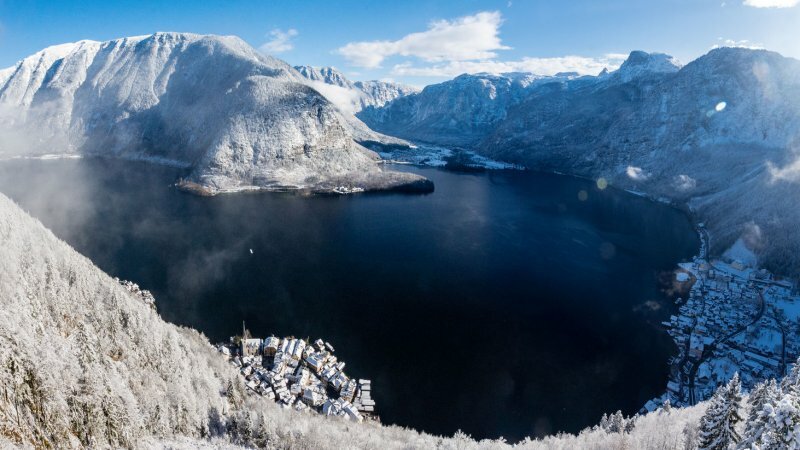 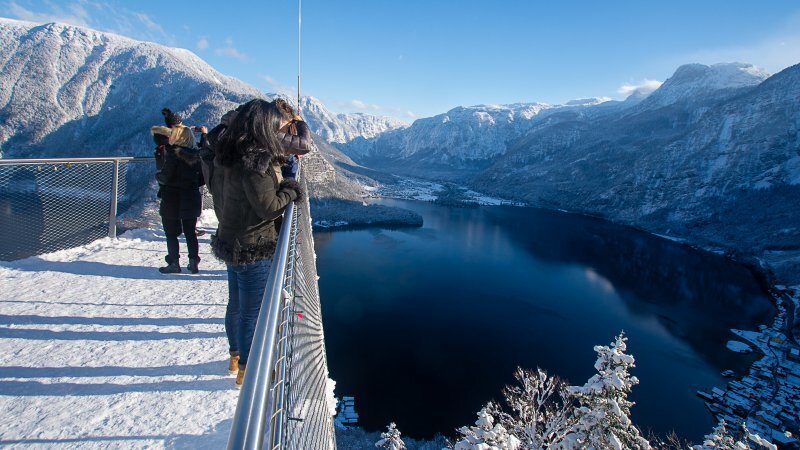 Fancy a short walk with unique panoramic views over the southern shore of Lake Hallstatt? 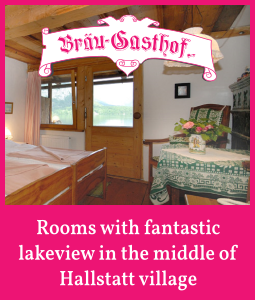 Then we have just the thing for you! 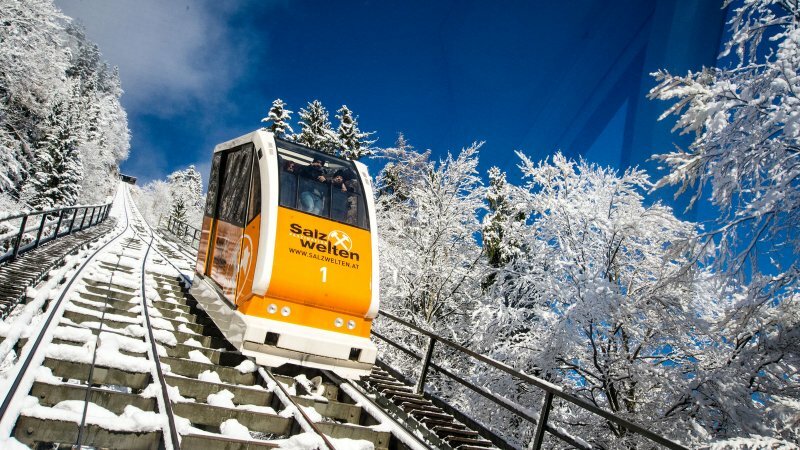 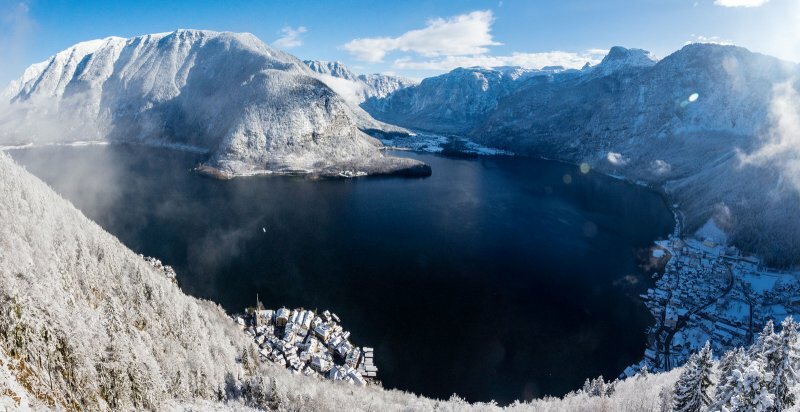 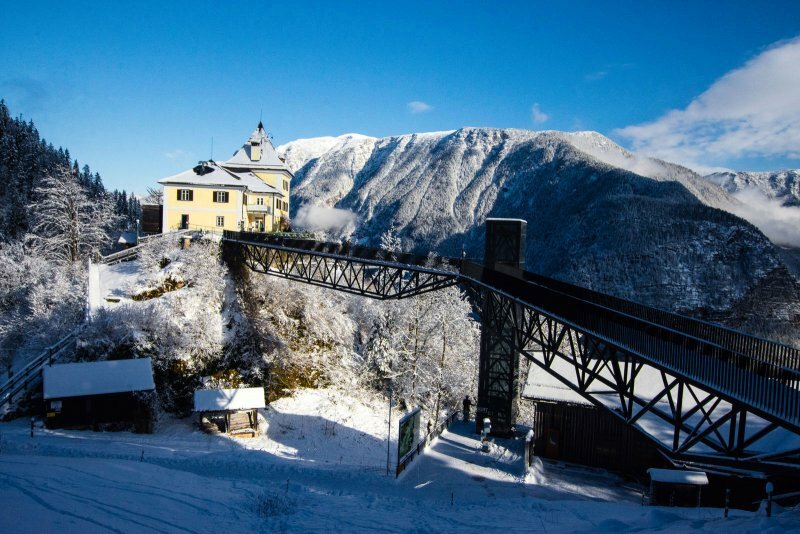 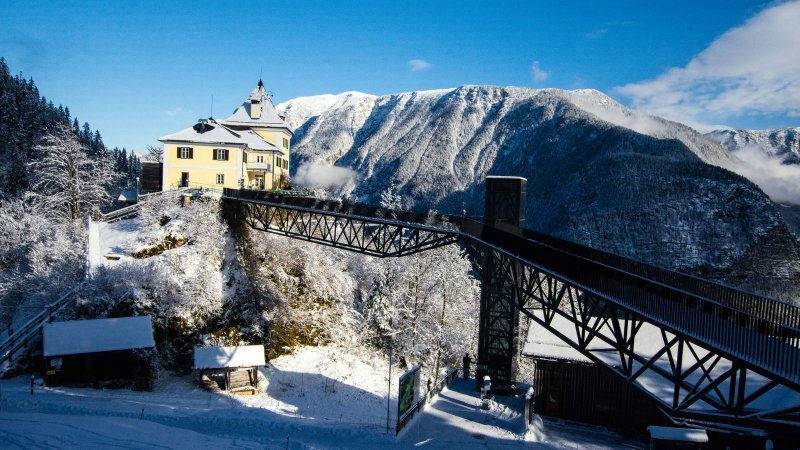 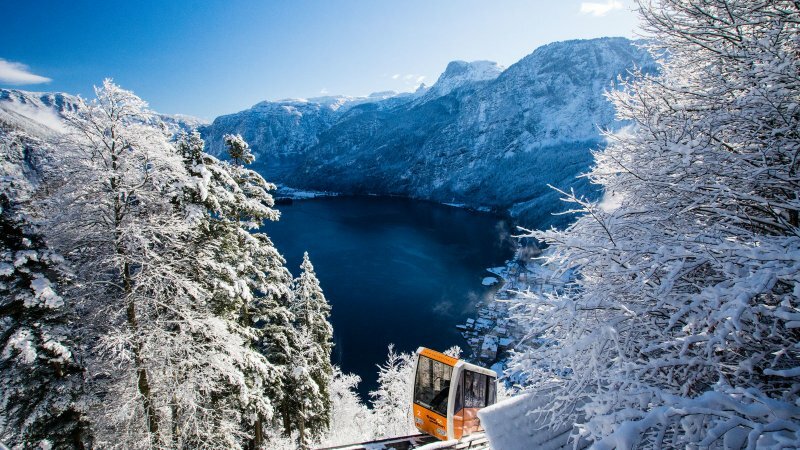 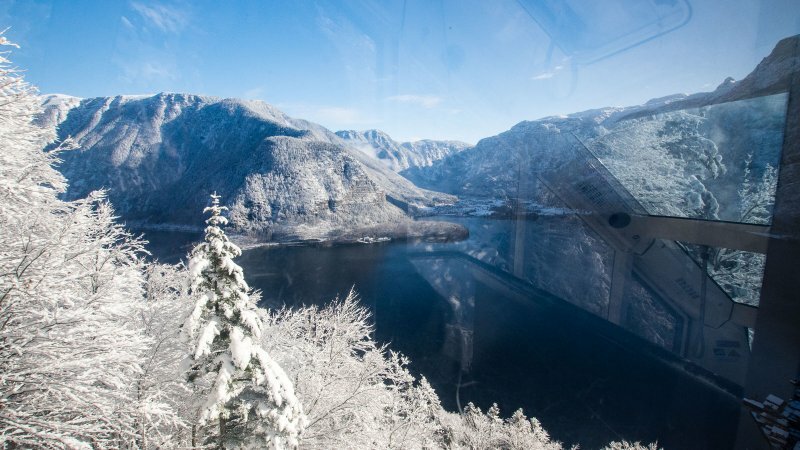 A winter trip up the Salzberg (salt mountain) in Hallstatt. 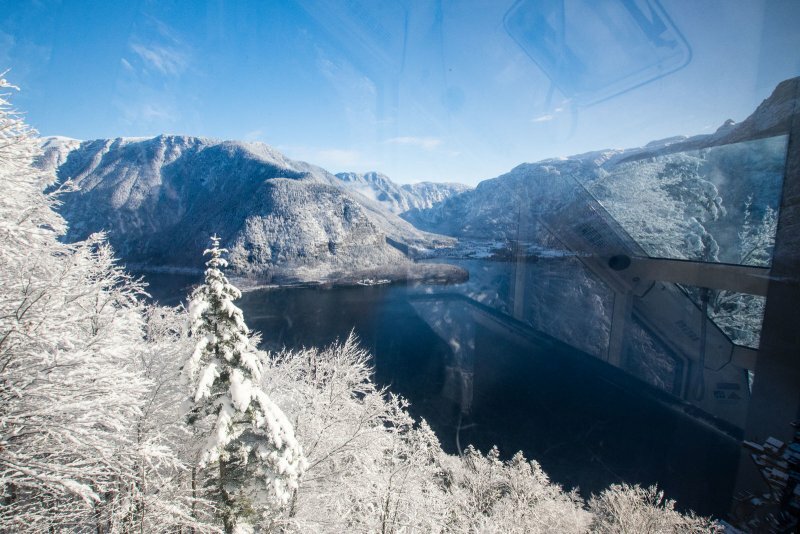 Alone the ride on the Salzberg cable car is an absolute experience. 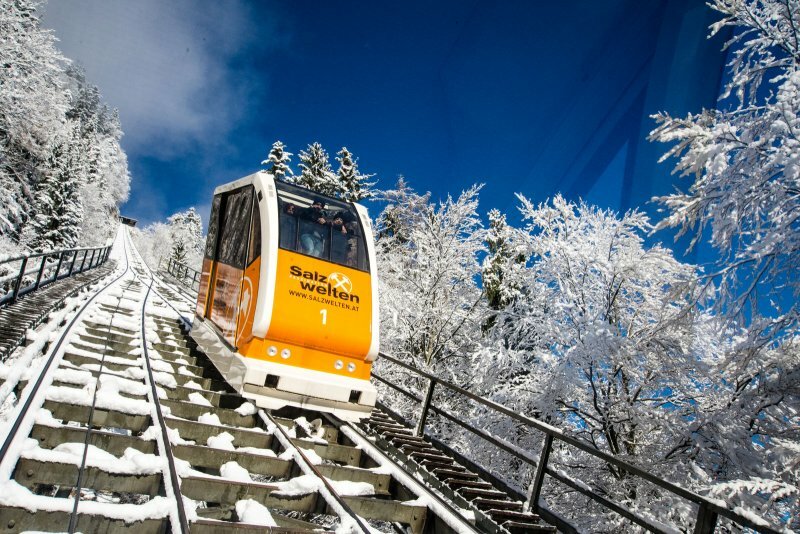 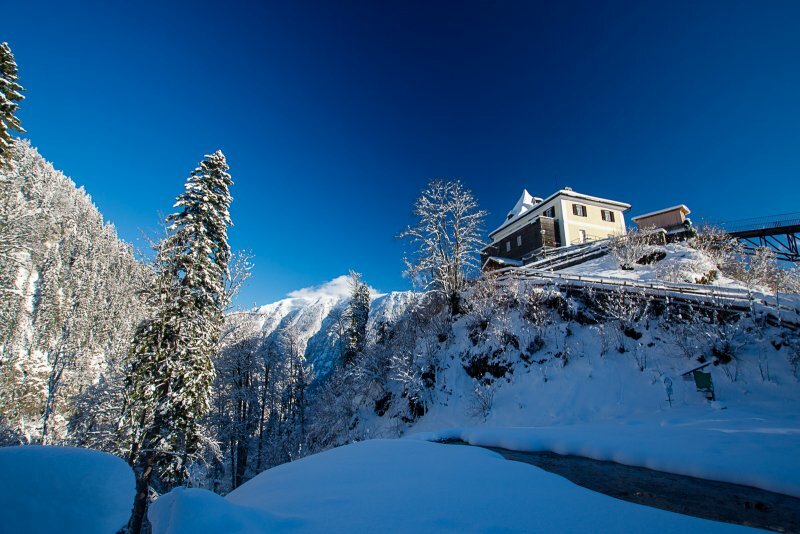 When the orange cabin glides on the rails through the snow-covered winter forest and with the sun shines down from the deep blue sky, every nature lover's heart will fill with joy. 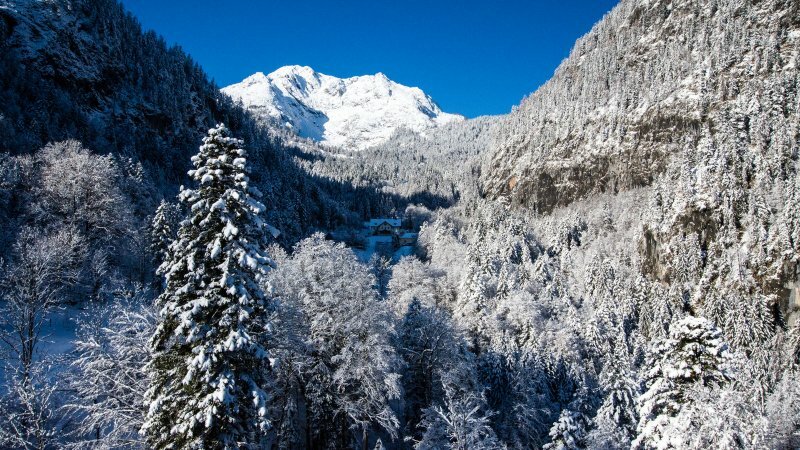 Once at the top, the enthusiastic visitor is welcomed by the snow-covered high valley with the majestic Plassen mountain. 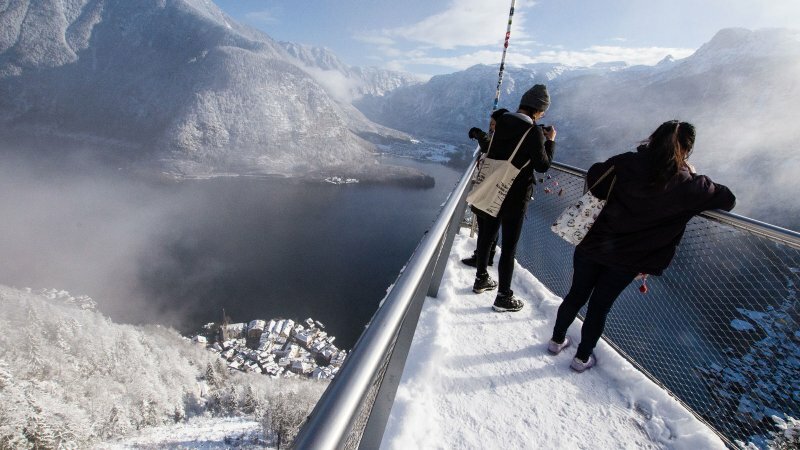 Just a few minutes’ walk from the mountain station of the funicular is one of the most beautiful photo points in Hallstatt: the Skywalk in Hallstatt. 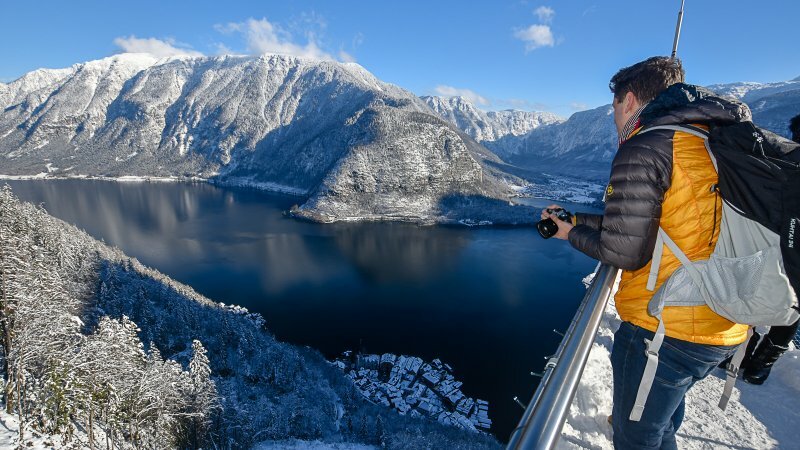 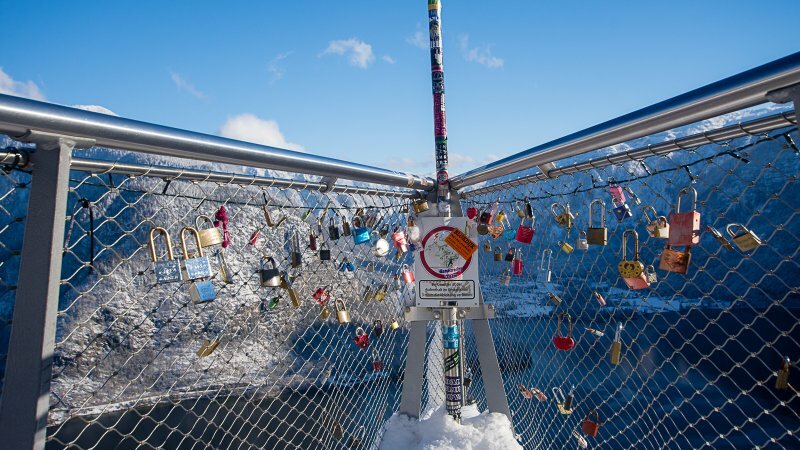 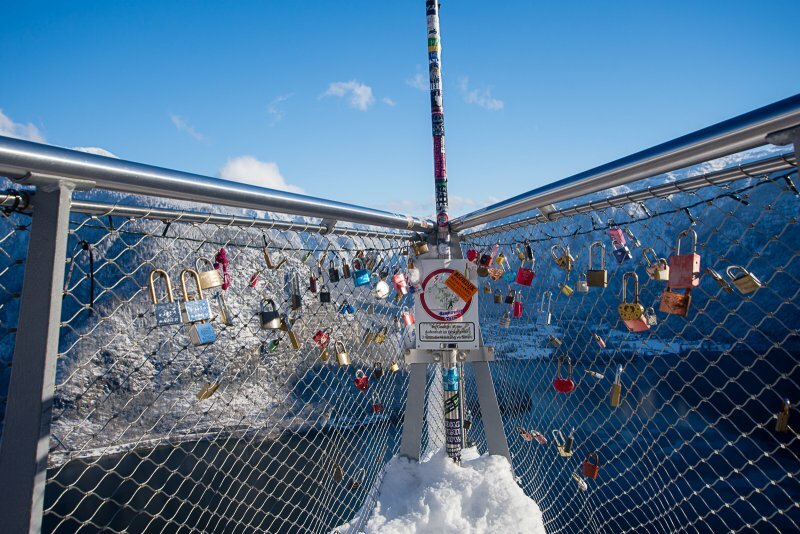 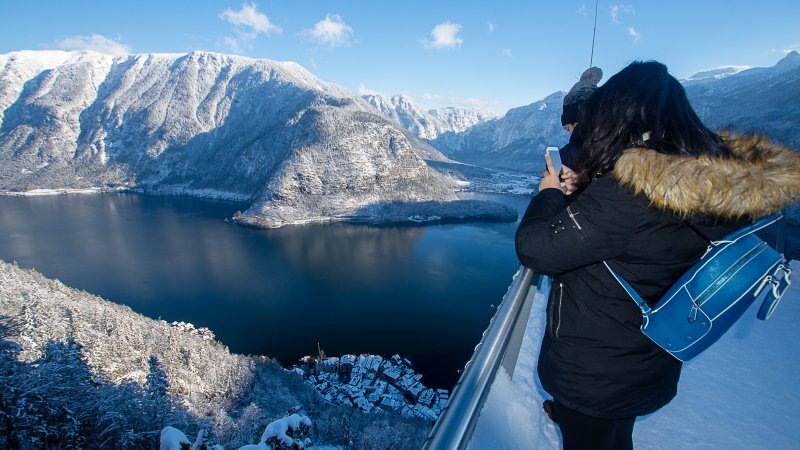 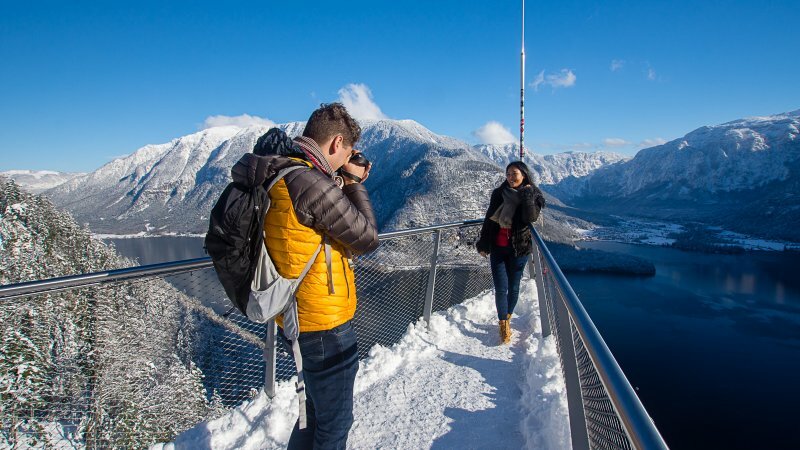 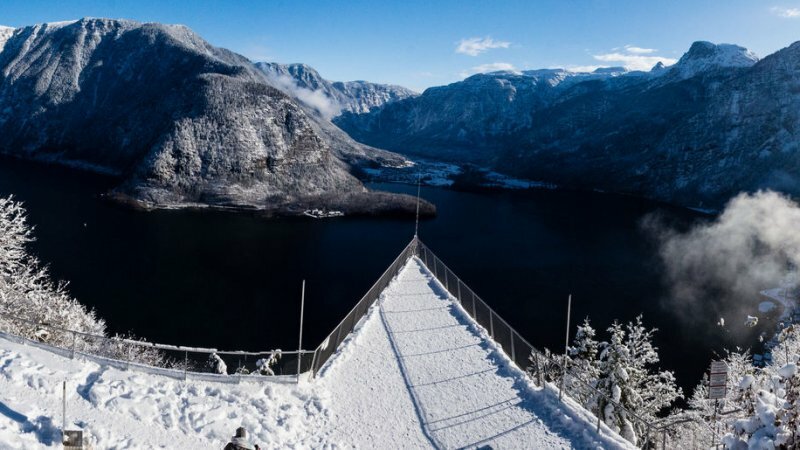 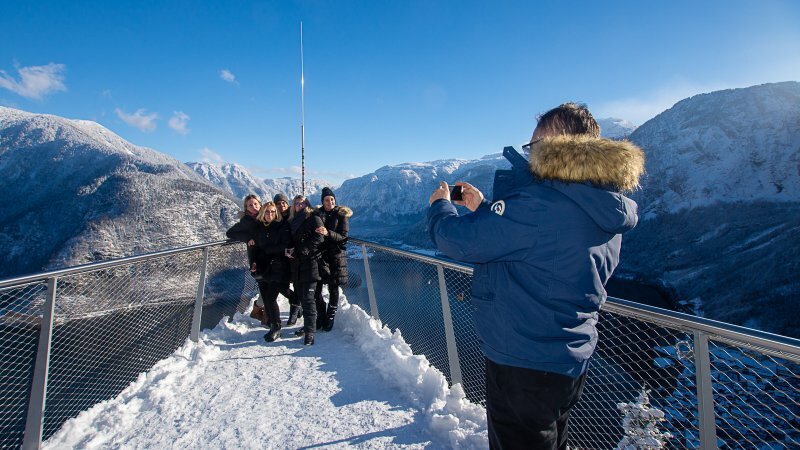 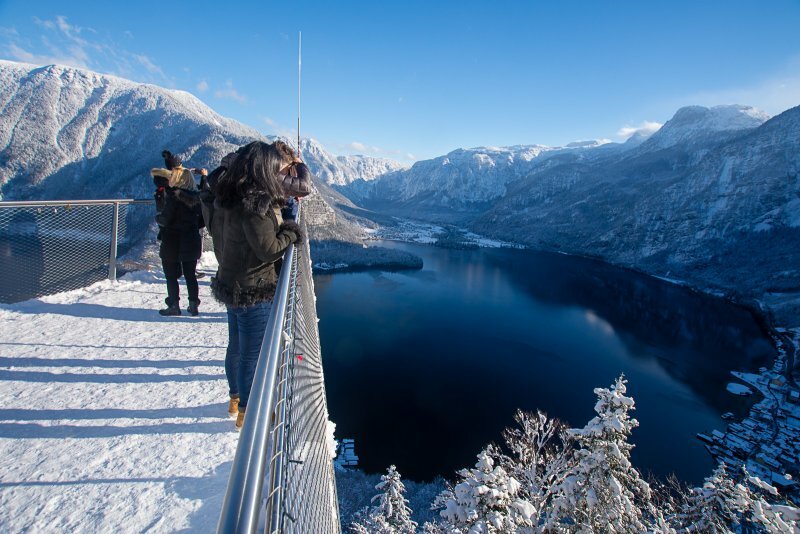 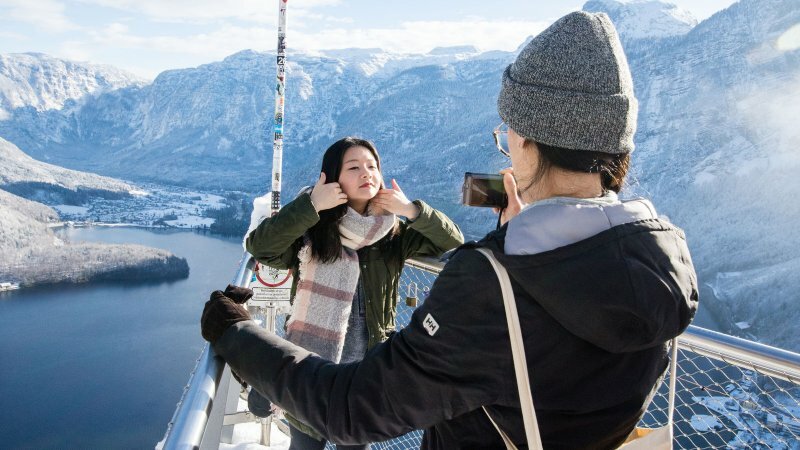 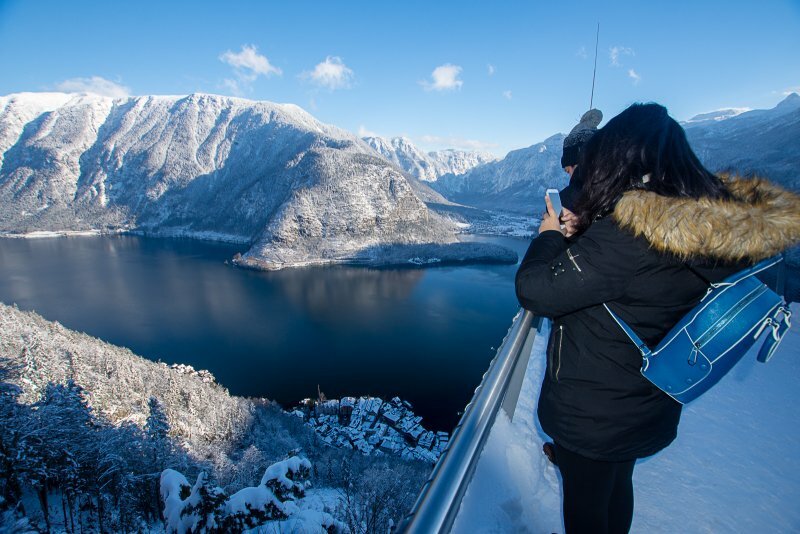 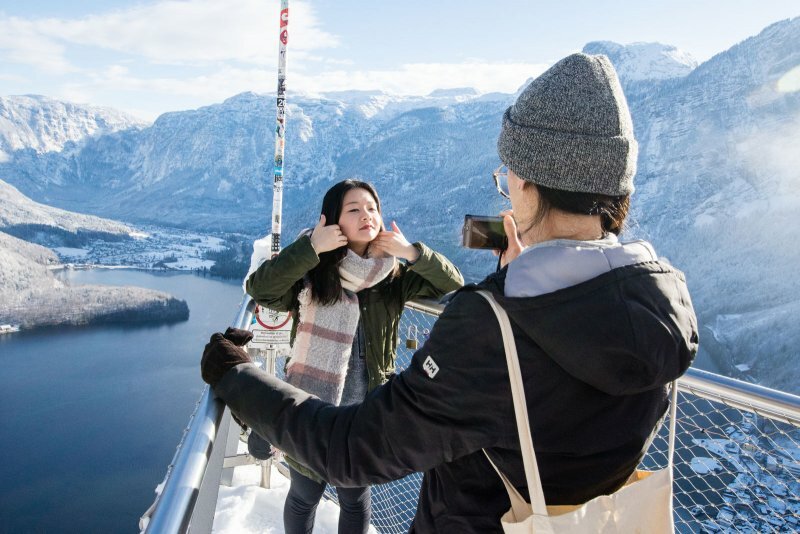 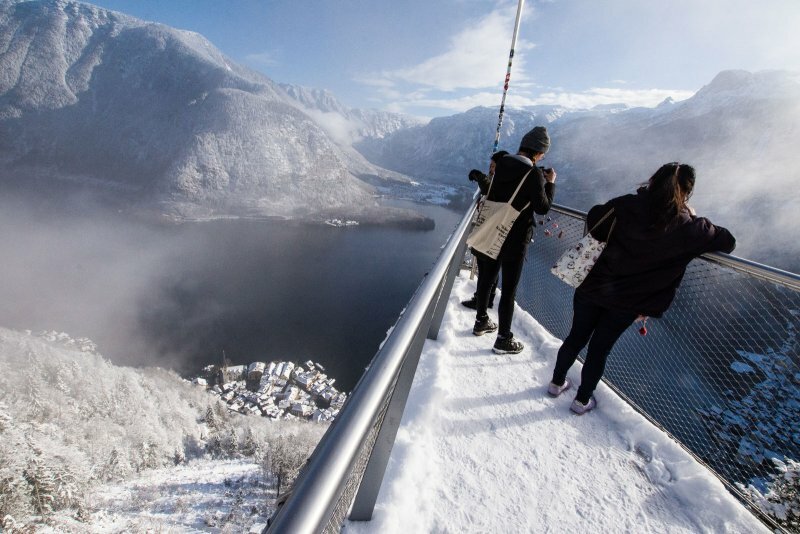 The breathtaking viewing platform, high above the old salt production town of Hallstatt, not only provides magnificent panoramic views, but also provides guests from all over the world with a little thrill. 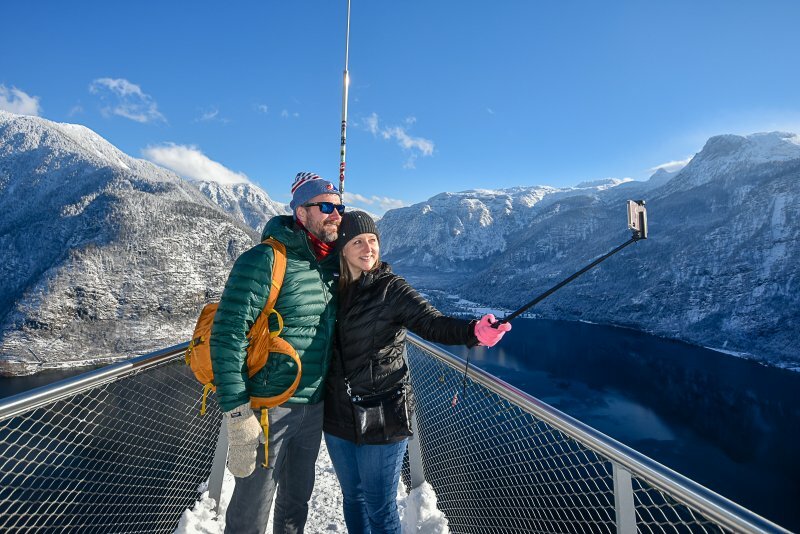 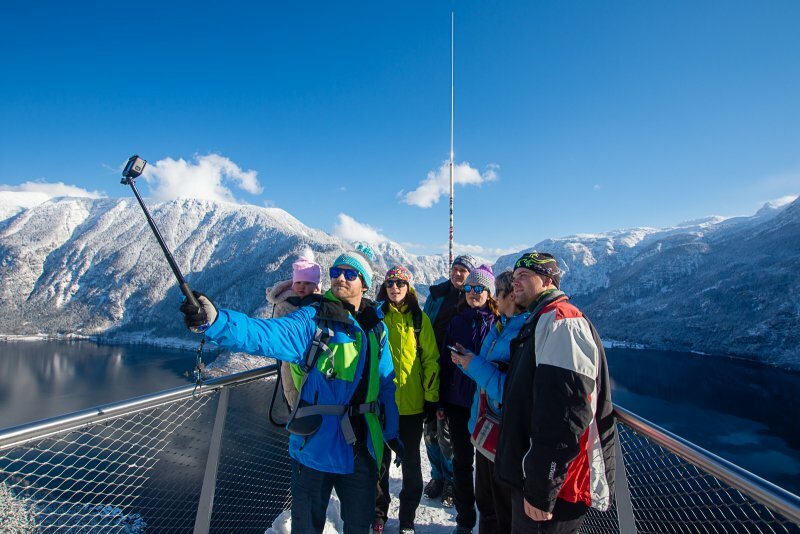 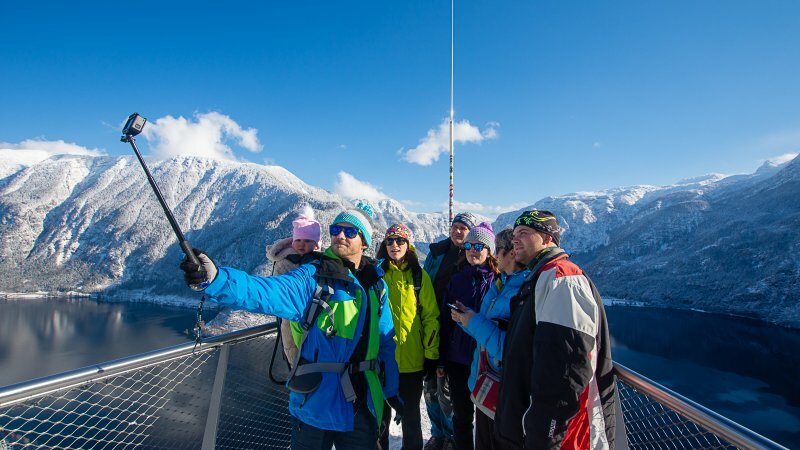 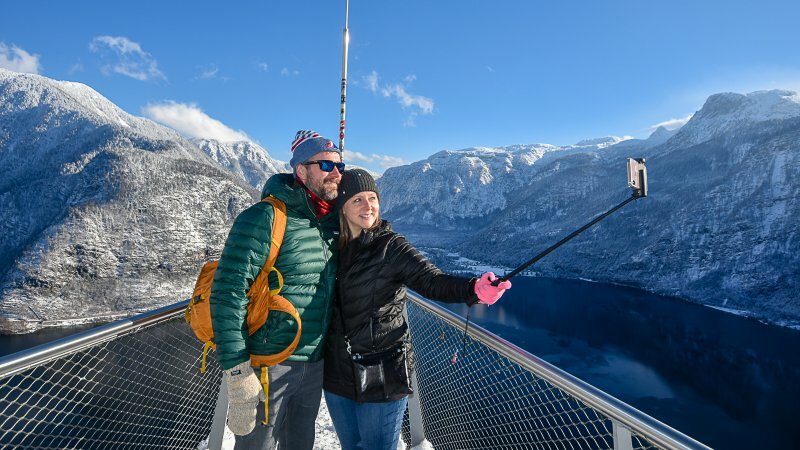 Perfect for your selfie of winter holidays in Hallstatt. 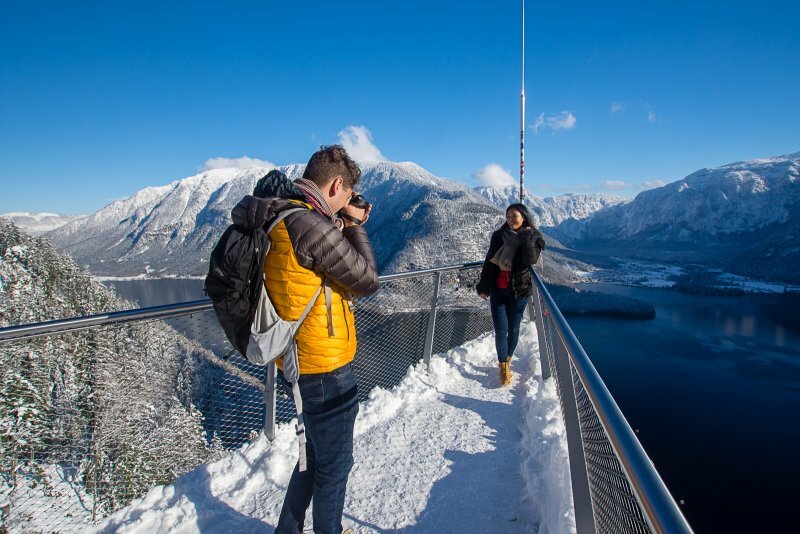 Directly by the Skywalk "World Heritage view" stands one of the oldest defence towers of the Sakzkammergut. 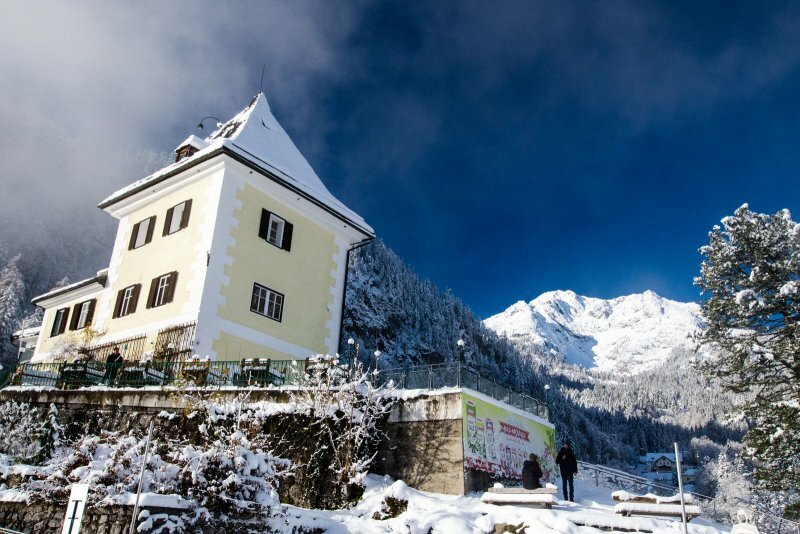 Today, the historic Rudolfsturm houses a home-style restaurant. 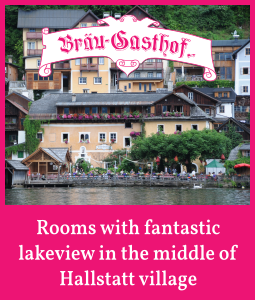 The perfect stopover for a "hot break". 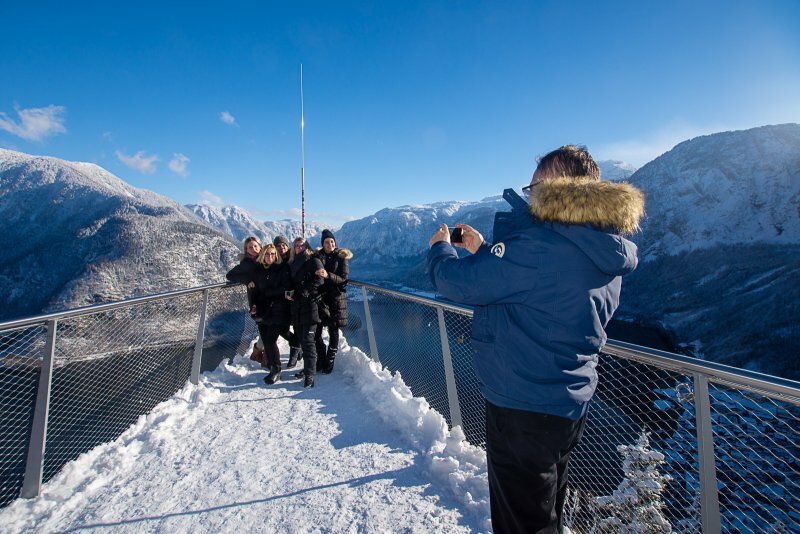 Very popular with families with children: the numerous steps up the old lookout tower. 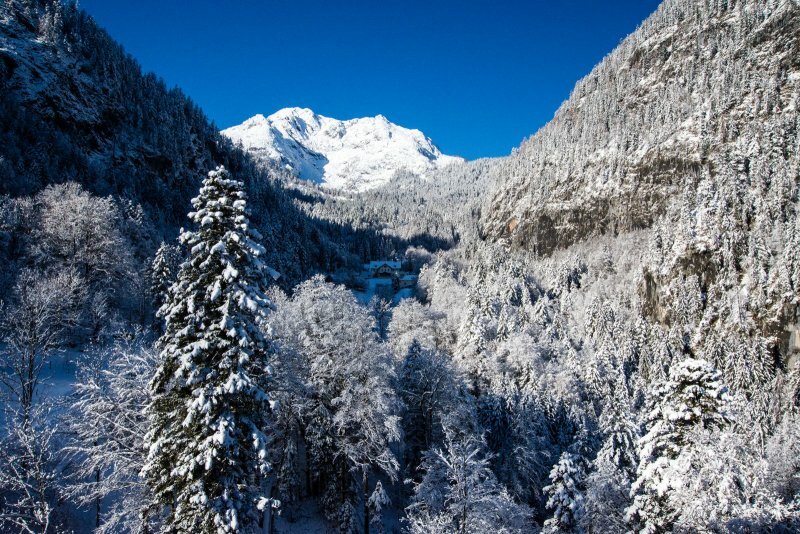 Just count along as you go. 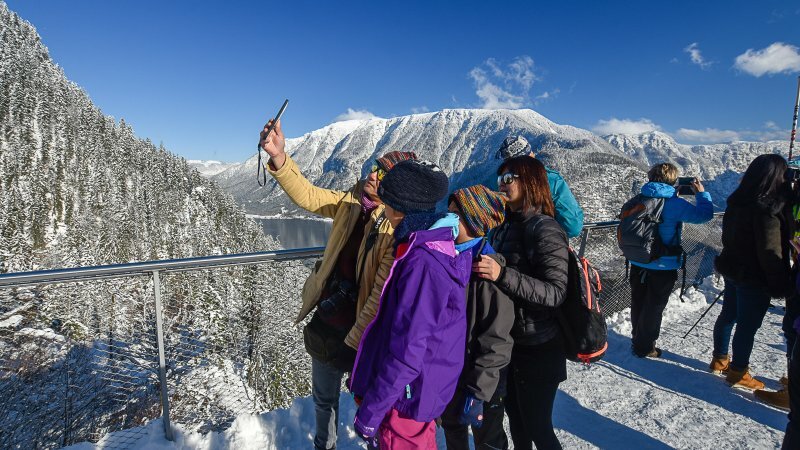 Every step gives new fascinating views of the snow-covered high valley with its ancient burial fields. 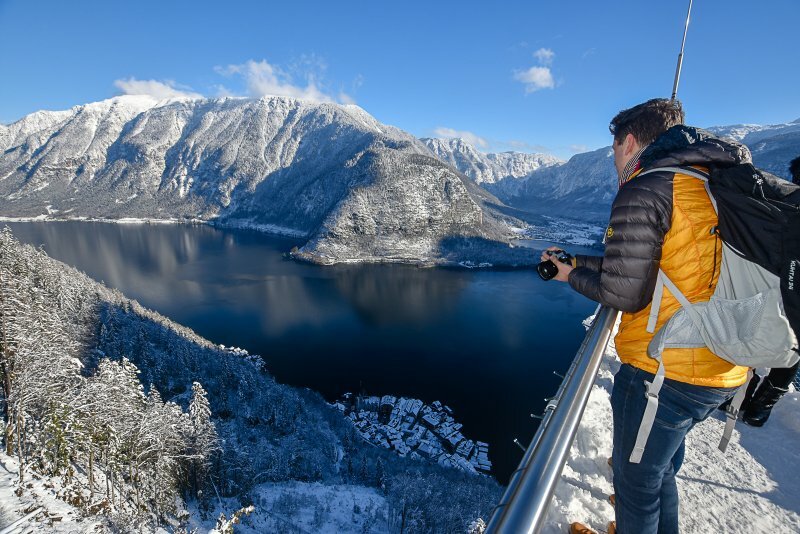 Counting sheep was yesterday, nowadays we count trendy steps. 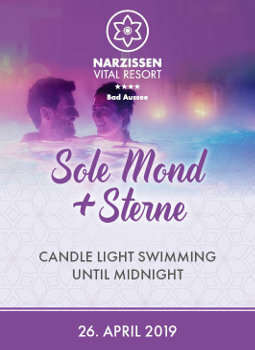 Count with us. 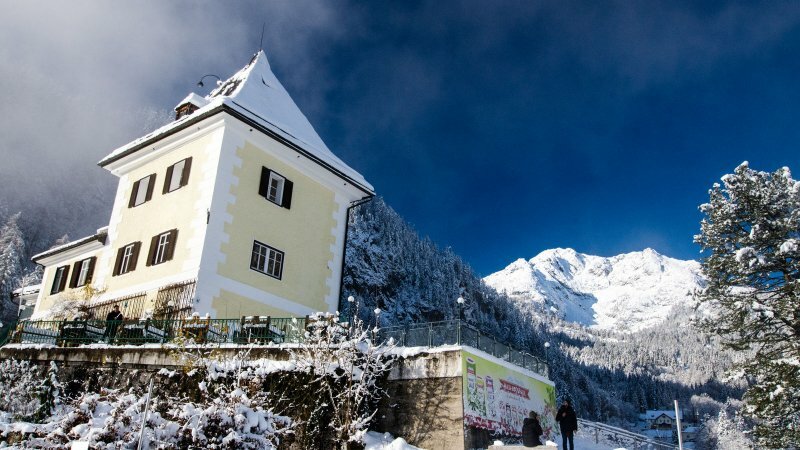 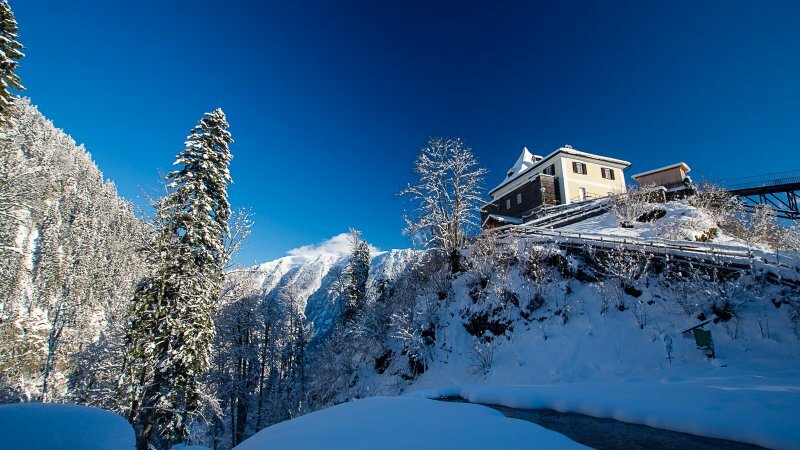 Our tip: For all winter fans - if the paths on the Salzberg are cleared – it is well worth taking a small, about 15-minute walk to the “Knappenhaus”. 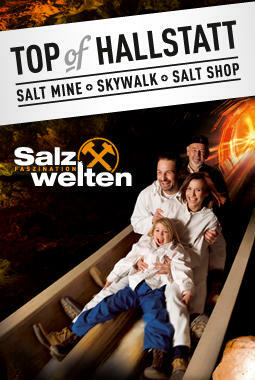 From spring to autumn, the old saline building is the starting point for impressive guided tours through the adventure mine "Salzwelten" with its mega-slide. 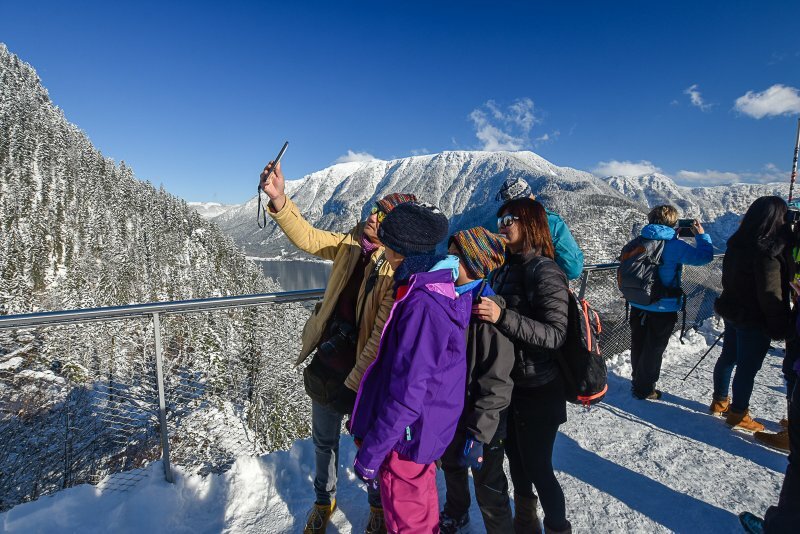 And for anyone who wants to take their first steps on snowshoes, the historic high valley is certainly the perfect place to give it a try. 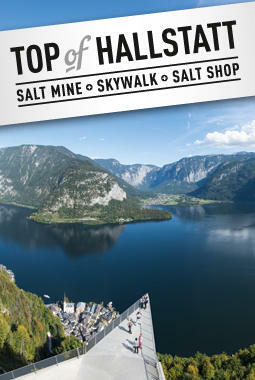 The suitable shoes are available to hire at the Janu sports shop in the centre of Hallstatt. 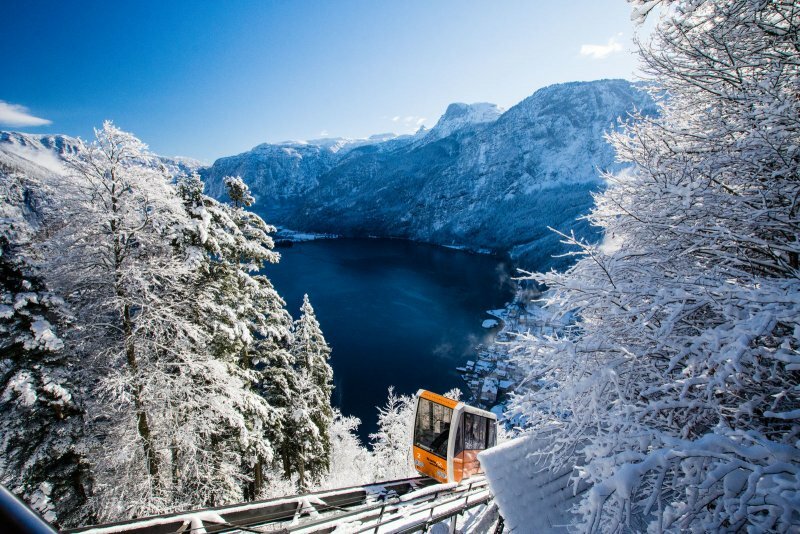 We wish you a lot of fun on the wintry Salzberg in Hallstatt. 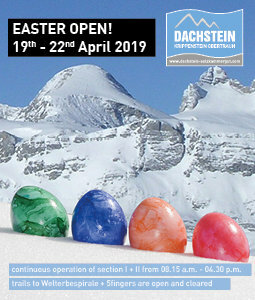 Open during the open times of the Salzbergbahn.